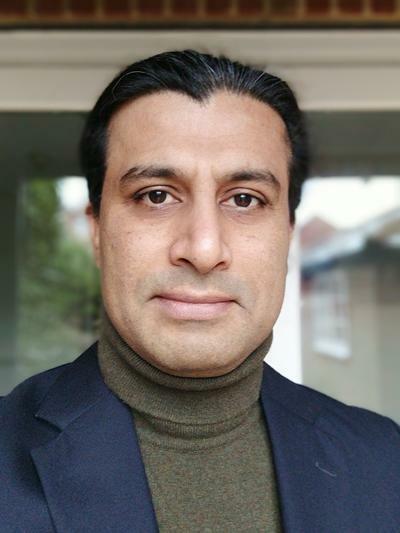 Hameed Chughtai is a Lecturer in Knowledge and Information Systems Management within Southampton Business School at the University of Southampton. Dr Chughtai is an ethnographer. His area of interest centres on the engagement with information technologies using qualitative research methods, everyday practices and ways of being in the world. In particular, his research explores the changing nature of work and information systems in practice. He is interested in the broader questions of ethics and aesthetics of engagement with technologies in everyday and organisational practices. His research has appeared in Information Systems Journal and in the proceedings of premier conferences such as International Conference on Information Systems (ICIS), European Conference on Information Systems (ECIS) and International Federation for Information Processing Working Group 8.2 (IFIP 8.2). Dr Chughtai worked in software industry for over thirteen years before joining academe. Dr Chughtai is primarily interested in qualitative research methods and, in particular, critical and interpretive field research. He has expertise in hermeneutic phenomenology and ethnographic field research methods. His area of interest centres on the engagement with information technologies using qualitative research methods, everyday practices and ways of being in the world. In particular, his research explores the changing nature of work and information systems in practice. He is interested in the broader questions of ethics and aesthetics of engagement with technologies in everyday and organisational practices. In his most recent collaborative research, he investigated how digital technologies are shaping the social movements of the indigenous population. The research was funded by World University Network and a collaboration between University of Southampton, University of Auckland (New Zealand), University of of Massachusetts Amherst (USA) and University of Hawai'i at Manoa (USA). Chughtai, H. (2018). How aesthetic engagement with IT is shaping digital society: An ethnographic example. In Twenty-Second Pacific Asia Conference on Information Systems: Yokohama, Japan, June 28-30 Association for Information Systems. Chughtai, H., & Myers, M. D. (2014). A ludic perspective on everyday practices: evidence from ethnographic fieldwork. Paper presented at AMCIS2014: 20th Americas Conference on Information Systems, United States. Chughtai, H., Myers, M. D., Te'eni, D. (Ed. ), & Avgerou, C. (Ed.) (2014). Ethnographic field research: interpreting one's entrance into the field as thrownness. 1-12. Paper presented at 22nd European Conference on Information Systems (ECIS), Israel. Chughtai, H., Myers, M. D., Siau, K. (Ed. ), Li, Q. (Ed. ), & Guo, X. (Ed.) (2014). Playing with IT: ethnographic research on the technological practices of young professionals. Paper presented at PACIS2014: 18th Pacific-Asia Conference on Information Systems, China. Chughtai, H., Karahanna, E. (Ed. ), Srinivasan, A. (Ed. ), & Tan, B. (Ed.) (2014). Problematizing the field: theorizing spatial volatility in ethnographic fieldwork. Paper presented at 35th International Conference on Information Systems, New Zealand. Chughtai, H. (2011). Dissection of dependency: a crossdisciplinary review. Paper presented at 24th Bled eConference, Slovenia. Chughtai, H. (1998). Distributed objects: CORBA and DCOM. Paper presented at FAST-IEEE Student Conference on Computer Science and Information Technology (FISC), Pakistan.